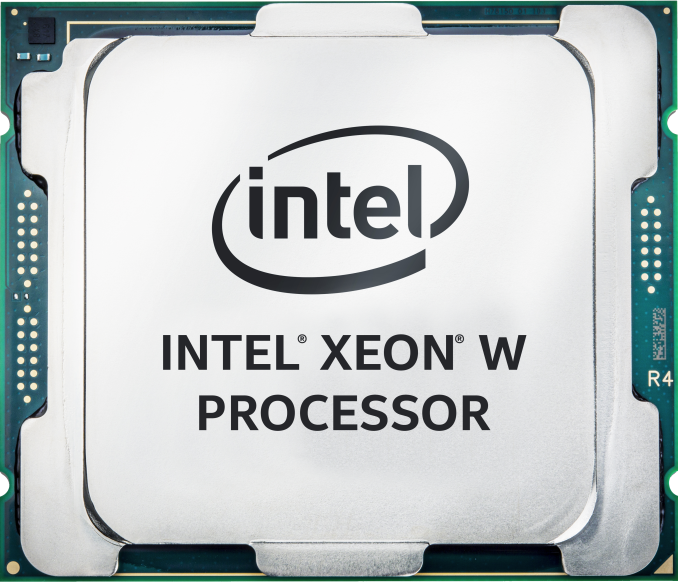 The price of the Intel® Xeon® W-2175 will probably be closer to $1950. The latter is based on the per-core price. Edit: Processor models updated. Based on the Geekbench Compute results that I found. The processors requires a C422 chipset for full support. Just like I said back in June. I also like what Intel did – they basically renamed the E5-1600 series. Now people know what a workstation processor is, but the Intel product specifications however still mentions: “Vertical Segment Server” and that is confusing. Edit: There are no power management resource plists for the Xeon W processors, not even in DP-8. That also means, probably, that the board-id that I used back in June, is wrong. I think that we will find a new one some day soon. Note: The references to Purley in the firmware were a bit puzzling, but they seem to share the same Intel source code. Yah! Gigabyte said to provide me with a motherboard for this processor line, and Intel will ship two processors next Monday! 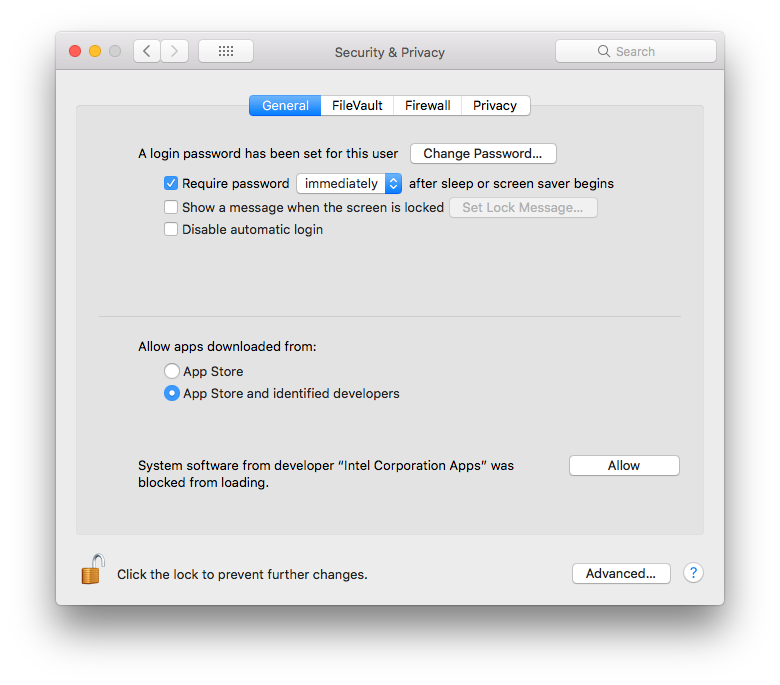 kernel extensions that are installed with or after the installation of macOS High Sierra, will require user consent in order to load signed kernel extensions. This new feature should also make us more aware about the kernel extensions that we have installed. Some of which we may no longer need. After all. Not every uninstaller does what it should do. This is what I got when I tried to load the Intel kernel extension (with sudo kextload EnergyDriver.kext) from a terminal window. Please note that there is nothing wrong with this extension. It simply wasn’t there, because I did a fresh installation of macOS High Sierra (a Developer Beta) and thus I had to allow it. It shows you the name of the developer. 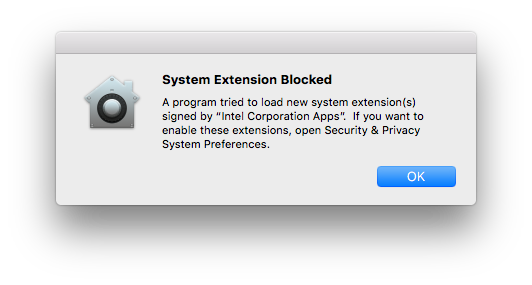 In this example it’s one from ‘Intel Corporation Apps’. And when you ‘Allow’ a blocked kernel extension, then the entry in the SQL database (KextPolicy) for this developer (per TeamID) will be updated accordantly. Were on the Mac before the upgrade to macOS High Sierra. Are replacing previously approved extensions. If you want to disable User Approved Kernel Extension Loading, boot into macOS Recovery and use the spctl command. Run the command by itself to get more information about how to use the spctl command. That’s it. You’re on your own. There is no detailed information about what you can, should and should not (try to) do. Great. spctl: failed to store new configuration. Please restart for changes to take effect. spctl: no kext consent configuration found. The Team ID is a unique 10+ character string generated by Apple that’s assigned to your team. You can find your Team ID using your developer account. Sign in to developer.apple.com/account and click Membership in the sidebar. Your Team ID appears in the Membership Information section under the team name. Note: You can use my csrstat command line tool to check the status of all SIP settings! And the csr-data property will still be there when you removed all team identifiers, but then with an empty array. Like this. Reset NVRAM will revert to its default state with User Approved Kernel Extension Loading enabled. Enrolling in Mobile Device Management (MDM) automatically disables User Approved Kernel Extension Loading. The behavior for loading kernel extensions will be the same as macOS Sierra. A future update to macOS High Sierra will allow you to use MDM to enable or disable User Approved Kernel Extension Loading, and to manage the list of kernel extensions which are allowed to load without user consent. If that is before or after the official release of macOS High Sierra is not known. But you know what. All extensions in the prelinkedkernel are stripped. There is no data of the signature. Apple (still) relies on tools to check the kexts signature, before inclusion in the prelinkedkernel, and somehow, that doesn’t feel right. The result should be: kext_load_history_v3, kext_policy The two tables in the policy database. Giving you the same output. Let’s do that for the policy table as well. Again. Giving you the same kind of output. And with this information we can delete the history of a kext. Let’s do that for the Intel EnergyDriver.kext If you do not have this driver installed, then just pick another. Done. Let’s also delete the policy for this kext. Please note that I used the team_id in my examples, but you can also use the bundle_id or developer_name. Currently there is (still) no formal way to change the data, but that should change in a future update of High Sierra. Please note that you can only change the data from the RecoveryOS. Please do not mess with the data. This is just a reference for developers and hackers alike. This is not intended for end users! You may have used one of my HandyScripts to install High Sierra. The problem with these scripts was that I had to update them for every new Developer Preview. And that was a burden. Taking too much time, and that is why I converted the bash scripts to a much smarter python variant. I started to work on it back in July, but it is still ugly, and I had never used it. Not until today. Update: installSeed.py v1.7 includes bug fixes so you better use the latest version! Updates: installSeed.py v1.8 is now available. This update downloads the correct i18n dictionary. installSeed.py v1.9 is now available. This update includes minor cleanups and a version number error fix. installSeed.py v2.0 is now available. This update exits gracefully, with instructions to install pip/request module. File: BaseSystem.chunklist already there, skipping this download. File: InstallESDDmg.pkg already there, skipping this download. File: InstallAssistantAuto.pkg already there, skipping this download. File: AppleDiagnostics.chunklist already there, skipping this download. File: InstallESDDmg.chunklist already there, skipping this download. File: OSInstall.mpkg already there, skipping this download. File: InstallInfo.plist already there, skipping this download. File: RecoveryHDMetaDmg.pkg already there, skipping this download. File: BaseSystem.dmg already there, skipping this download. File: AppleDiagnostics.dmg already there, skipping this download. Copying: BaseSystem.chunklist to the target location .. The good thing (for me) is that with the introduction of installSeed.py I no longer need to update the file for every new Developer Preview. Then visit ark.intel.com and select the processor family and processor model that you have. Now copy the link and let me know what you’ve got. Note: One data set per processor model is enough. Edit: The data for sockets FCLGA1151 and FCLGA2011-3 should now be covered, but if you have a different value in MSR(MSR_IA32_PLATFORM_ID) then please add yours! What does that tell me? Nothing! Without the missing details, that could even be a coffee grinder. That’s how much I value it. Now it is meaningless, but it could have been so much better. For example. There should at least be one reference (link) to a user submitted Geekbench result where all data is visible. If not all of the used results. Also. You cannot compare one (Mac) result with another. And what about graphics? This is what I get right now. Not good. Well. 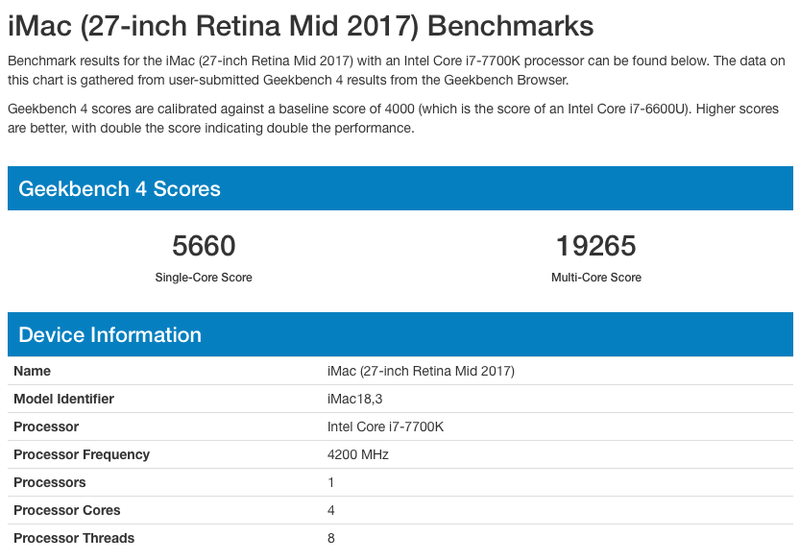 I don’t know about you, but for now, I am going to ditch the Geekbench.app and look for something better. A tool / website that does not hide significant details. Stuff that is uploaded by users, and then get ripped out of the results. Ehm. No. I have no idea why Geekbench does this. I’m sure that the links will get fixed. Sooner or later. But we can only hope that the Mac chart will be improved and made meaningful again. Edit: I don’t have access to my e-mail and can’t contact Geekbench right now, but someone (else) should at least inform them about the broken links. Thank you! Update: Good news. The broken links are now fixed. Now, please, add references. Thank you! So basically what happens here is that if it finds an “AudioAccessory” (as product/model identifier) then it returns “HomePod”. So that we, the users, know what it is. Fine. Not a big deal. Edit: Right. Someone spotted an error – see comments. Fixed. Thank you. Back to my food now. Cool. I also found some interesting strings. I think that this is for a (future) HomePod setup app on Mac’s. I can’t remember it, but haven’t we seen this before? For the AppleTV maybe?